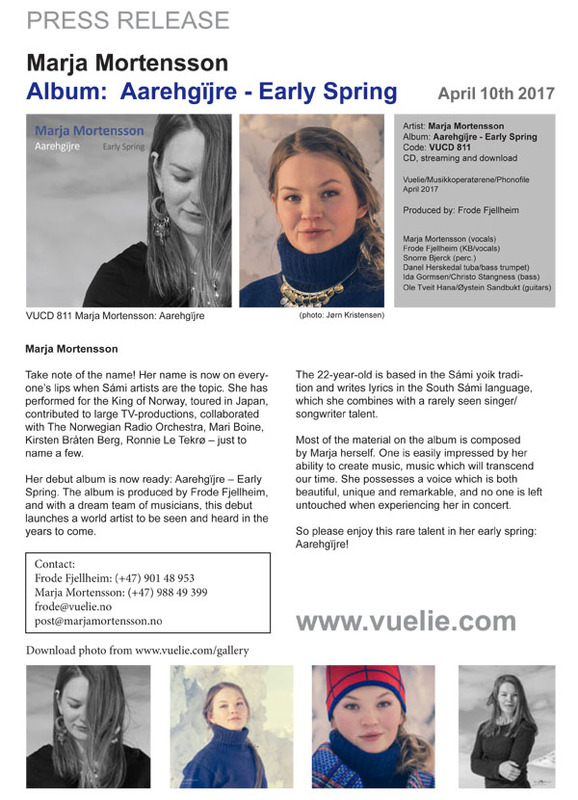 Marja Mortensson: Debut-CD/Album, release April 10th 2017. Her debut album is now ready: Aarehgïjre – Early Spring. The album is produced by Frode Fjellheim, and with a dream team of musicians, this debut launches a world artist to be seen and heard in the years to come. 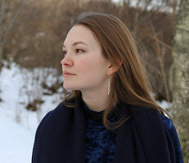 The 22-year-old is based in the Sámi yoik tradition and writes lyrics in the South Sámi language, which she combines with a rarely seen singer/songwriter talent. 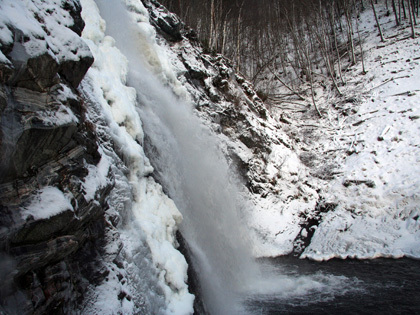 Most of the material on the album is composed by Marja herself. One is easily impressed by her ability to create music music which will transcend our time. She possesses a voice which is both beautiful, unique and remarkable, and no one is left untouched when experiencing her in concert. So please enjoy this rare talent in her early spring: Aarehgïjre! Available for download (iTunes), streaming (Tidal/Spotify) and CD from April 10th 2017.